Well spent or mis spent, depending on how you look at it, quite a bit of my twenties found me traveling the world, sometimes with friends, sometimes alone. I craved seeing new places, trying new foods and exploring new cultures and was constantly looking at a map of the world figuring out a route or deciding on a new place to visit. Recently, when looking over a map of the silk road (I have a thing about maps), I realized that to some extent, I’ve travelled in a number of the major towns and cities along the route. It seems a lifetime ago now and due to my lack of diary writing at the time, I decided to dig out some photos to help jog my memory and see what I can recall from my former life as a traveller. 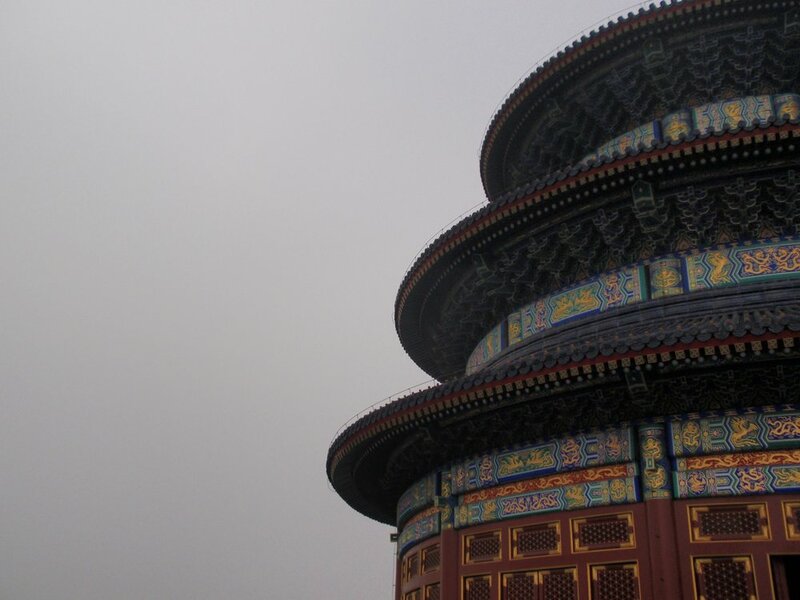 First on the list (as it is the start of the Silk Road) is China, where I spent two months traveling through in 2008. I arrived overland from Vietnam and went straight to Hainan, an island in the south with beautiful beaches and shop signs in Russian, yes, Russian. Hainan is a huge Russian holiday destination, not at all what I was expecting but nice beaches all the same and delicious fruits and seafood. Having been traveling solo for some time now I was delighted when a friend from home joined me for a month and together we went to Yunnan province in west China. Yunnan has enough variety to occupy any traveller with great hiking, beautiful cities such as Dali and Lijiang and the Tibetan town of Shangri La where we enjoyed the annual horse racing festival and yak butter (the jury is still out on yak butter). 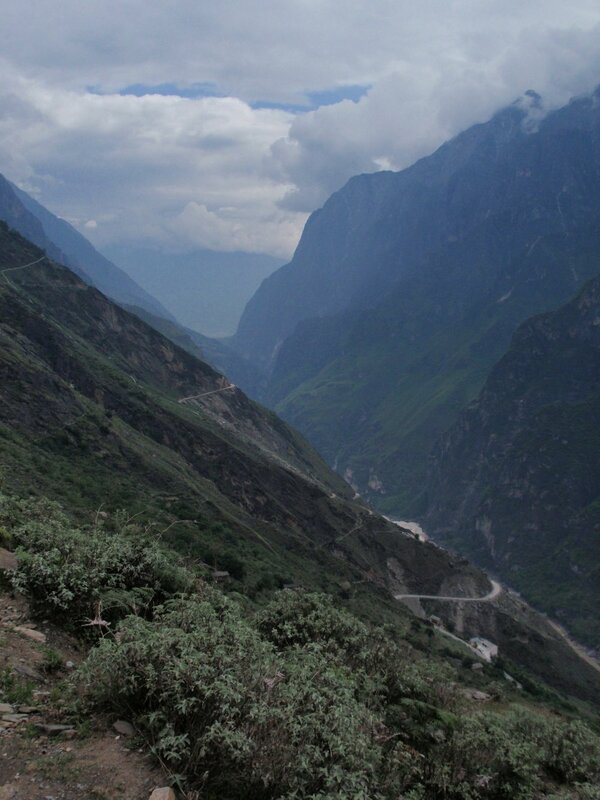 We undertook a three day hike along the Tiger Leaping Gorge, a canyon on the Jinsha River. I love hiking, I really do, but I find that when I have to carry a tent, sleeping bag, food and water for the whole trip, my enjoyment slides as the kilos increase, plus I spend the whole time looking at the ground while walking. So,with it’s teahouses and guesthouses to stay in along the way, Tiger Leaping Gorge made for one of the most enjoyable treks I’ve done, it was the bomb. After Yunnan we skipped our way up to Xian to see the Teracotta Army and climb Mount Huashan (2154m) to sped the night on the mountain. Although we took the longer, less terrifying route, there is a route for the thrill seekers where you take your life in your hands walking along planks of wood along a sheer drop. I opted out of this for obvious reasons (see pictures below). Heading eastwards to Beijing it was all action as they prepared for the Olympics with buildings and roads appearing in a matter of weeks. 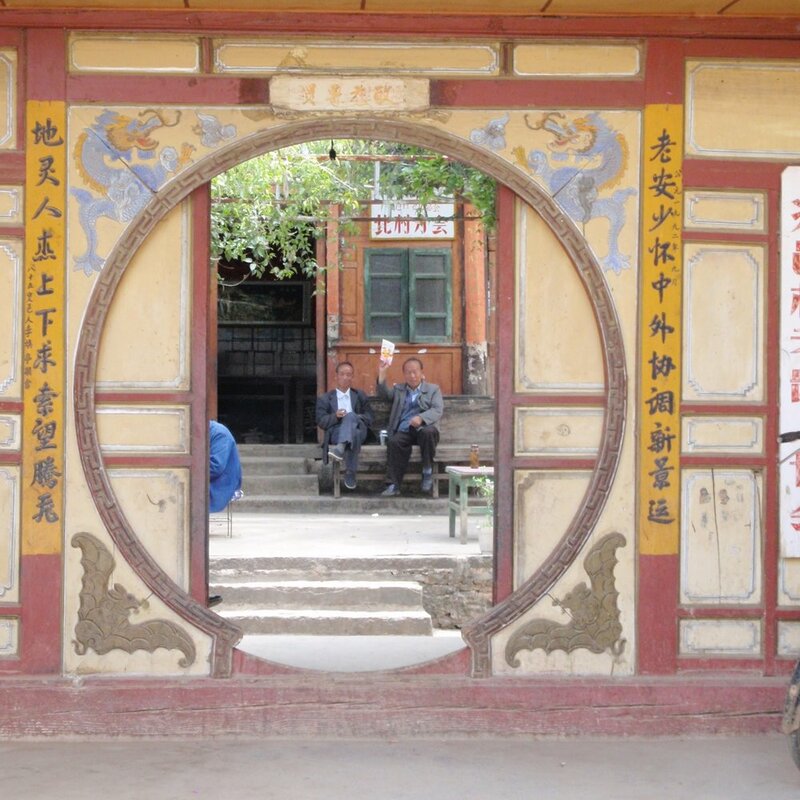 I hung out here for a couple of weeks waiting for a visa for Mongolia and found it is a great city - tasty food, nice people and tons to see and do from visiting the Great Wall, shopping in the Silk market (not for the faint hearted) and going to the Chinese opera. Next up was a three day train spectacular countryside through Inner Mongolia to Ulaan Baatar in Mongolia and onto the next adventure.